No pictures found for plate number SWEDE1 in Missouri, United States. click here to add a picture. No videos found for plate number SWEDE1 in Missouri, United States. click here to add a video. 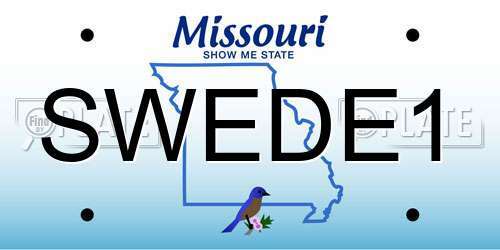 No owners found for plate number SWEDE1 in Missouri, United States. click here to add an owner. No related websites found for plate number SWEDE1 in Missouri, United States. click here to add a related website. The corroded coil wire may break and the water pump could stop. The corroded coil wire could cause a short circuit between coil wires and a possible open fuse, creating a stall-like condition of the hybrid system while the vehicle is being driven. This may increase the risk of a vehicle crash. 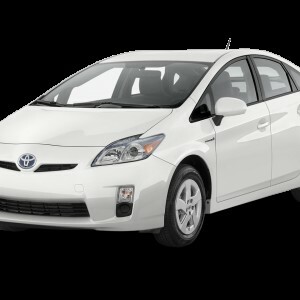 Toyota is recalling certain model year 2004-2009 Prius vehicles manufactured August 5, 2003, through March 30, 2009. The affected vehicles have a steering intermediate extension shaft assembly built with metal splines that complete the connection from the steering wheel to the steering gear. These splines may have been manufactured with an insufficient hardness. Over time, the splines may wear and eventually fail resulting in a loss of steering ability, increasing the risk of a vehicle crash. Toyota will notify owners, and dealers will inspect the extension shaft and replace it if it is one with insufficient hardness, free of charge. The recall began during December 2012. Owners may contact their Toyota dealer or the Toyota Customer Experience Center at 1-800-331-4331. TOYOTA RECALL NO. 90L/90LG.OWNERS MAY ALSO CONTACT THE NATIONAL HIGHWAY TRAFFIC SAFETY ADMINISTRATION'S VEHICLE SAFETY HOTLINE AT 1-888-327-4236 (TTY 1-800-424-9153), OR GO TO <A HREF=HTTP://WWW.SAFERCAR.GOV>HTTP://WWW.SAFERCAR.GOV</A> .